I love using talking charts in my classes. They help guide students to lively discussions by providing them with a task they must complete. Then, I can collect them to see how well students are doing on a particular grammar point. This particular one will get your ESL students to use WH-questions along with the simple present tense. You can use the handout for a collaborative classroom activity and then collect it to check how well your class is doing. 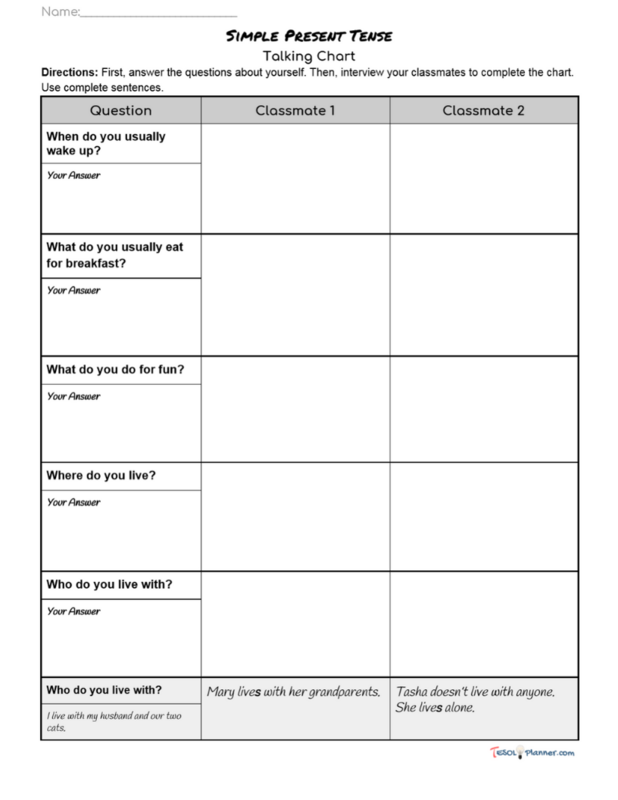 0 responses on "Simple Present WH-Questions Talking Chart"